Disaster movies were a huge spectacle at the box office in the 1970’s, generating millions of dollars for Hollywood. What made these movies so popular and a recognizable commodity? What created the buzz, excitement, and conversations? What can we learn from all this from a business branding perspective? 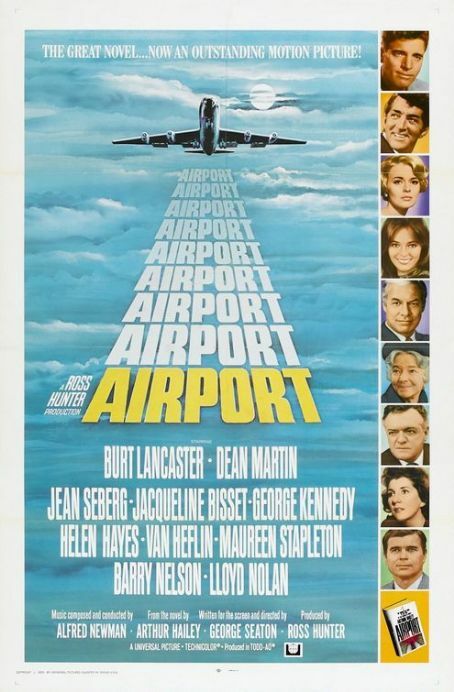 This trend at the box office began in 1970 with the classic film Airport. 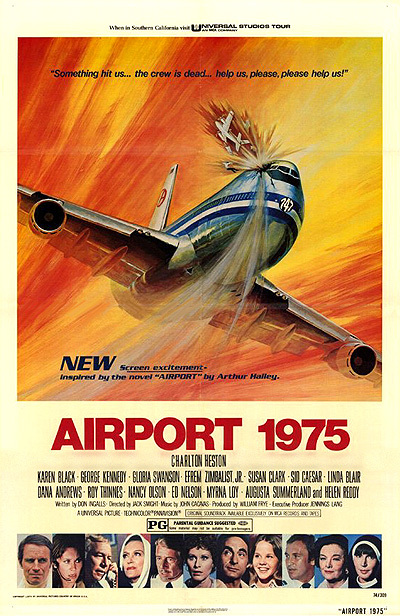 Airport was based on a best selling novel and featured an all-star cast and multiple plot lines, including the story of a suicidal man set on exploding a bomb on the airplane. The movie earned more than $45 million and was nominated for 10 Academy Awards including best picture. Helen Hayes won for Best Supporting Actress. 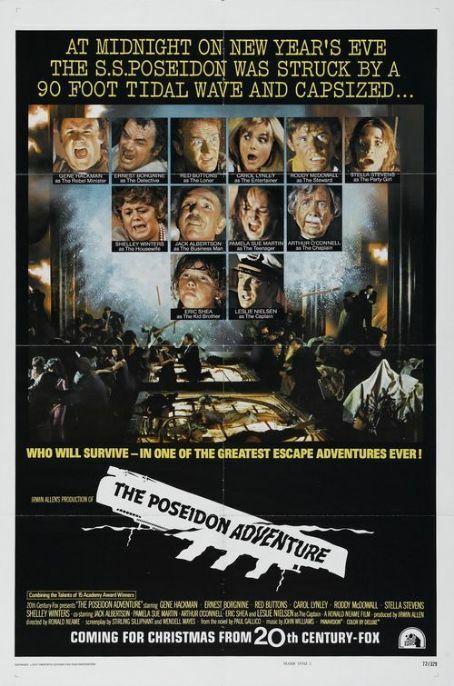 The craze really took off though in 1972 with the release of The Poseidon Adventure. Also based on a best selling novel and featuring an all-star cast, The Poseidon Adventure tells the story of a group of desperate passengers trying to escape a luxury ocean liner capsized by a giant tidal wave. Generating 42 million at the box office, the movie received 8 Academy Award nominations. The craze peaked in 1974. That year marked the release of The Towering Inferno, Earthquake and Airport 1975. The Towering Inferno was based on two novels and featured an all-star cast trapped on the top floor of the word’s tallest building as a huge fire rages below them. The film was nominated for eight Academy Awards including Best Picture, winning for Best Cinematography, Best Film Editing, Best Music, and Original Song. The movie made over $48 million. 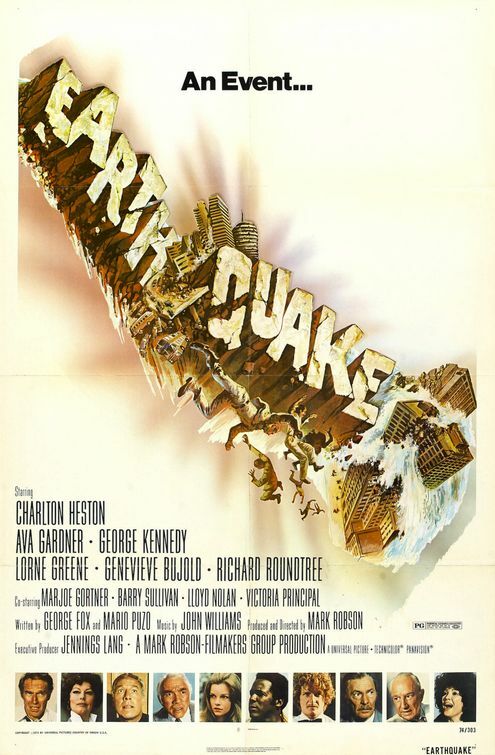 Featuring an all-star cast, Earthquake generated over $35 million and was nominated for four Academy Award for its special effects of a powerful earthquake leveling the city of Los Angels, winning for Best Sound and receiving a Special Achievement Award for visual effects. This was the first movie to be released in Sensurround. To recreate the feel of an earthquake for audiences, heavy base speakers were installed in theaters. The Airport craze continued with Airport 75 earning $25 million at the box. The movie centered around an all-star cast trapped on a Boeing 747 when it is crippled in flight when a small plane crashes into the cockpit, disabling the flight crew. What made these movies so popular and what can we learn from this trend? In the studio’s advertising, all these movies offered the consumer a laundry list of features that promoted more value for your money. These movies enticed viewers with promises of more stories, more stars, more special effects, more excitement, and more thrills—all in the attempt to put more bodies in the seats. With each new release, there was the promise of more than you got before. The viewers were promised and received emotional gratification from the viewing experience–one similar to the thrill of a ride on a roller coaster. The audience was taken on an exciting journey, offering them breath taking excitement and the rush of adrenaline—all in the safety of a movie theatre seat. Who could ask for anything more? These movies also cashed in on the public’s fascination with the tragedy of others—just watch the news. Huge conversations are generated by a tragedy. The feelings created here was similar to watching a car accident. You know something terrible has happened to someone, but you can’t take your eyes off of it. These feelings were made even more powerful when these films capitalized on their star power. When familiar faces are put in danger—ones the audience can relate to—it created a sense of emotional investment for the audience in wanting to desperately find out the fate of their favorite stars. Finally, the adverting executives played on people’s feelings of wanting to belong and not to be left out. The promotional material worked by convincing the people that they needed to see these movies so they could be part of the “know.” You don’t want to be left out of the conversation. Your friends are talking about it. Why aren’t you? Near the end of the 1970’s, the trend began to wane. The products did not live up to their promises with each movie trying to outdo each other to limited reception. Other movies like Jaws and Stars Wars caught the attention of the public and they moved on. Disaster movies though are still hot at the box office, for example 2012. However, there is not the same buzz or excitement as there was in the 1970’s. ~ Terry Gale is Story Development Director and Vice President of The MarkBrand Group. Note: Movie trailers can be accessed by clicking on the title of the film. Posted on February 3, 2010, in Movies, Pop Culture. Bookmark the permalink. Leave a comment.